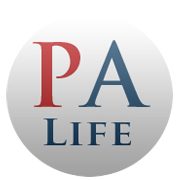 Patient will present as → a 39-year-old woman after total thyroidectomy for papillary carcinoma of the thyroid is noted to have carpal spasm when her blood pressure is taken and facial muscle contractions with tapping over the facial nerve. You also note increased deep tendon reflexes along with perioral paresthesia. Lab work reveals a decreased serum calcium, decreased parathyroid hormone, and an elevated serum phosphate. On EKG there is a prolongation of the QT interval. Patients will show signs of neuromuscular irritability with carpopedal spasm, laryngeal spasm, tingling, tetany, and facial grimacing. Muscular changes with hypoparathyroidism will be the opposite of those with hyperparathyroidism. 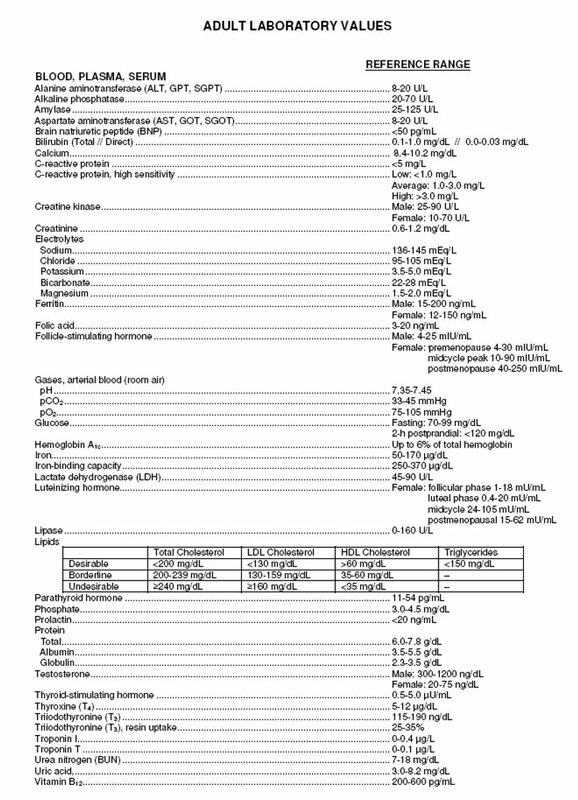 Why the low serum calcium? Calcium is low because the gland cannot secrete PTH (hence a low PTH) and PTH is responsible for the reabsorption of calcium from the bones, kidneys and GI tract. Because you can't reabsorb Calcium, your calcium will be low. 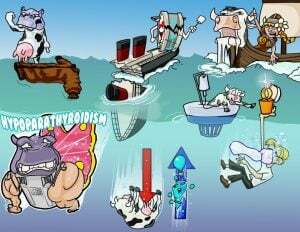 This is easy to remember: Hyo-parathyroid literally causes a LOW PARATHYROID HORMONE. 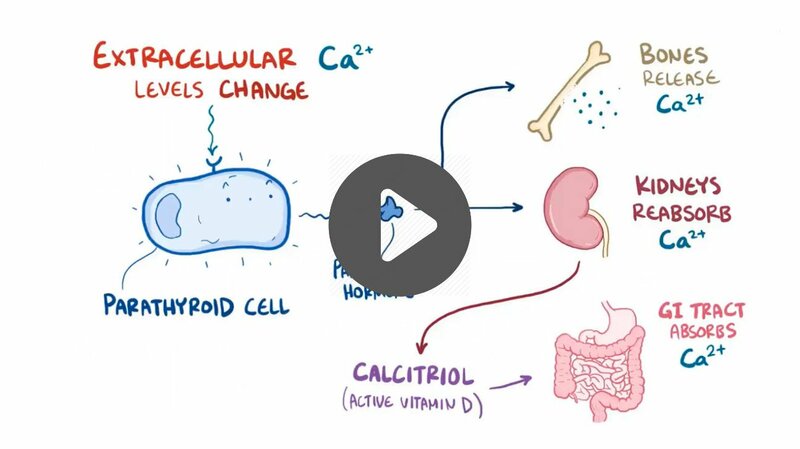 If you know that PTH is responsible for calcium reabsorption, you will know that CA+ will be low as well. 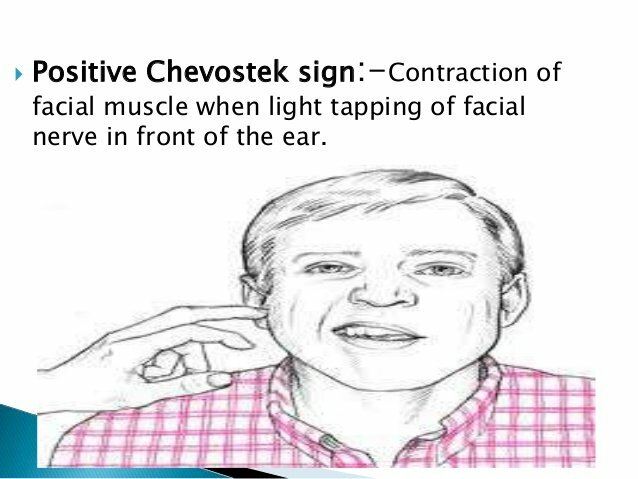 Chvostek's sign (watch video) is the twitching of the facial muscles in response to tapping over the area of the facial nerve. Trousseau's sign (watch video) is carpopedal spasm caused by inflating the blood-pressure cuff to a level above systolic pressure for 3 minutes. An uncommon condition characterized by a low level of parathyroid hormone (PTH). 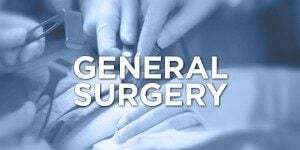 Often caused by “accidental” removal of the parathyroid glands during thyroid surgery. 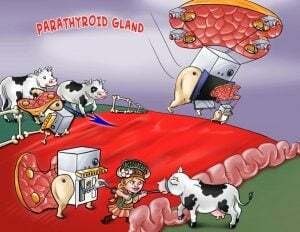 Other causes of parathyroid deficiency include tumors and heavy metal poisoning. Treatment consists of taking supplements to normalize calcium and phosphorus levels. Hypocalcemia is defined as a decrease in total plasma calcium concentration < 8.8 mg per dL in the presence of normal plasma protein concentration. Causes include hypoparathyroidism, vitamin D deficiency, renal tubular disease, magnesium depletion, acute pancreatitis, hypoproteinemia, septic shock, hyperphosphatemia, and drugs, including phenytoin, phenobarbital, and rifampin. Most patients are asymptomatic. Symptoms, when present, include muscle cramps involving the legs and back, mental status changes, dry skin, depression, and psychosis. Papilledema may occasionally occur, and cataracts may develop after prolonged hypocalcemia. Severe hypocalcemia (< 7 mg per dL) may cause tetany, laryngospasm, or generalized seizures. With hypocalcemia giving rise to latent tetany, the patient may exhibit a positive Chvostek’s sign (involuntary twitching of the facial muscles caused by a light tapping of the facial nerve just anterior to the exterior auditory meatus) or a positive Trousseau’s sign (carpopedal spasm caused by reduction of the blood supply to the hand with a blood pressure cuff inflated to 20 mm Hg above the systolic BP applied to the forearm after 3 minutes). 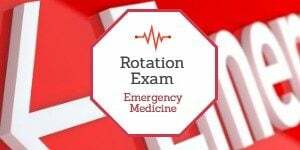 Hypocalcemia can cause heart block and arrhythmias. 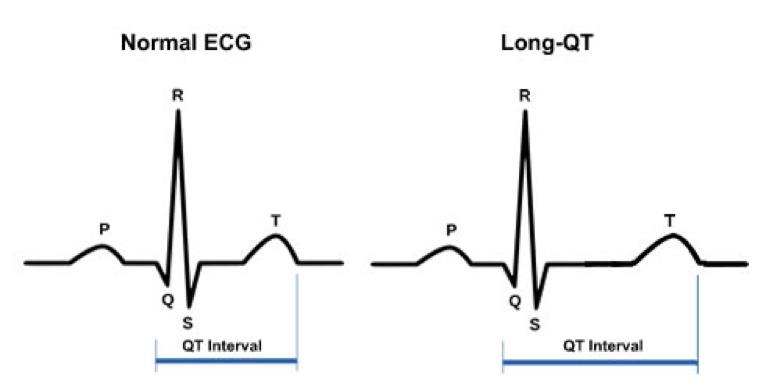 ECG changes show prolongation of the QTc and ST intervals. T-wave peaking or inversion can also occur. 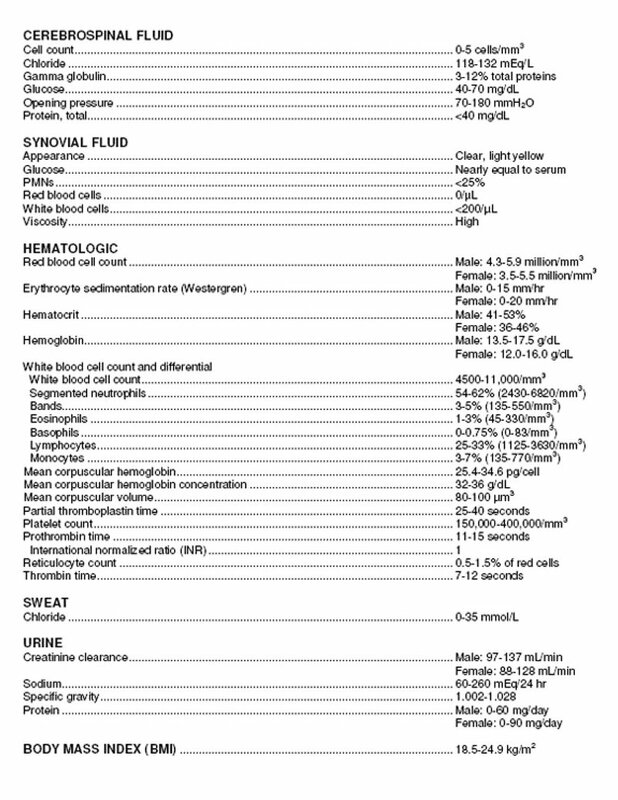 Severe hypocalcemic tetany is treated initially with intravenous infusion of calcium salts (calcium gluconate). In chronic hypocalcemia, oral calcium and vitamin D supplements are usually sufficient. Treatment of hypocalcemia in patients with renal failure must be combined with dietary phosphate restriction and phosphate-binding agents such as calcium carbonate to prevent hyperphosphatemia and metastatic calcification.